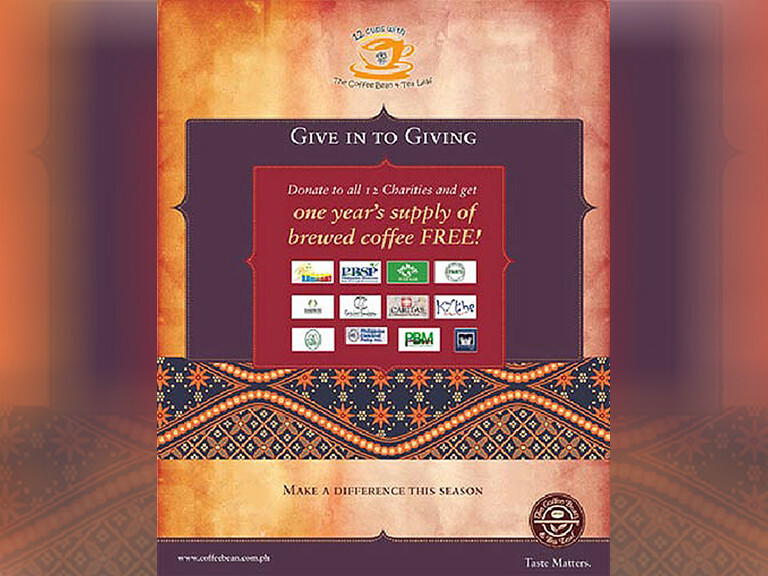 Thank Coffee Bean and Tea Leaf for giving the Autism Society Philippines a big boost and for giving us a platform to educate the public about autism. 1. Drop by the nearest Coffee Bean and Tea Leaf with your family and friends. 2. Drink to your health. Coffee and Tea are rich in anti-oxidants and protects the body from free-radicals. 3. Ask for the Give in to Giving Stamp Card. Each beverage you buy earns you a stamp. Complete all 12. 4. Make Autism Society Philippines your advocacy of choice. You not only bring awareness and education to the families of children with autism, you also get a limited edition artist’s notebook. 5. Spread the word and have a Merry Christmas!